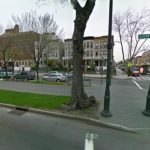 An assault early Wednesday morning adds to the list of unprovoked attacks in Crown Heights. The victim was lightly injured. 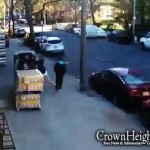 In yet another unprovoked incident in Crown Heights, a Jewish man walking up Kingston Ave was punched in the chest without reason. The assault occurred around 8:00am on Kingston Ave near Union St. The assailant, described as a black male, punched the Jewish man in his chest without any provocation., before fleeing the scene. The victim was left with pain in his chest from the incident. The NYPD Hate Crimes Task Force will be investigation the incident. Bring back the Block Patrols. Not a hate crime – I am a non-Jewish white woman and this man kicked just moments earlier as I was walking to the train. He was deranged. Everyone: please, say “Good Evening” when you pass by a black person, when you are in Crown Heights. It would reduce our issues by 99%. Criminals do not belong on the streets, lock them up.